Did you know that the first employee equity incentive plan originated in 1851 and was created by a company named Illinois Central Railroad Company? Well, thanks to this company, many companies today are able to offer a part of their employees with equity incentives and employ the best talents. These companies basically implement the equity plans to offer restricted stock units and so on to align the employee’s interest with that of the shareholders. It helps in increasing the productivity in the company and drive it towards success. In short, equity is an ownership stake in the company. The equity compensation helps both the company and the employee. Moreover, it also helps in lowering the cash compensation that the company has to provide to the employees. Most of the CFOs of private companies have a good idea regarding the stock options (NSOs and ISOs) since they have been in the industry and trend for years now. But there have been some new innovations in the plans. That is where the restricted stock units (RSUs) come in. Well, the public companies usually issue the rsu stock instead of the stock options. Microsoft, Google and Facebook use the rsus over the stock options to compensate their employees. But if you are private company, would it work well for you? Also, why are these companies creating new plans when we can just stick with stock options? Well, both have their pros and cons. This makes them best for specific conditions. This article would help you understand all about stock options vs rsu. Before that, let’s start by understanding the different kinds of equity instruments to get a strong stand in understanding what is RSU and all about it. For the public companies, the restricted stock units is what is used the most to compensation the employees with equity. On the other hand, in the private companies, the Stock Options (ISOs and NSOs) is used the most. But, why so? What is the difference and what is RSU? Well, let’s dig deeper to find out. The stock option is an agreement that is there between the employee and the company which issues the option, allowing the employee to buy the stock of the company at a predetermined price. Moreover, the employee that gets the option would not have any rights to the dividends, or the rights to vote in the company, or the rights to any privileges that come with the stock ownership. Nonetheless, as soon as the employee exercises the option and pays the strike price, they would be able to get the options and would also be able to enjoy the benefits as mentioned above. These benefits offered also depends on the terms and conditions that were set and agreed upon when the options were issued by the company. There are two types – ISOs (Incentive stock options) and NSOs (Non-qualified stock options). ISOs can be given only to the employees while the NSOs are given to anyone including the directors, consultants, and employees. The ISOs enjoy many tax benefits where there is no federal income tax placed on it. On the other hand, the NSO have the standard income tax rate placed on it. Moreover, NSOs that are exercised by the employees are subjected to the tax withholdings. Nonetheless, the alternative minimum tax (AMT) can be applied to the ISOs that are exercised. You would understand better about this below. With the stock options, the employees are motivated with equity compensation so that they can help to increase the value of the company. In case the value of your company decreases, the value of the stocks would also reduce. Hence, the employee would keep this in mind and work harder to increase the value so that they do not lose their amount with the equity compensation. The reason the employees get profits as well is because the stocks are sold to them at a strike price, which is a predetermined discounted price of the shares. The strike price is the price that the shares are bought at, which is always lower than the FMV and the future increased value of the shares when exercised. Moreover, the strike price is also the price that converts and option into a share, which is also why it is called exercise price. It is not legally allowed to sell an option, but you can sell a share. Hence, it is important to exercise the option to make it value and for that, you need to exercise it. Now, moving towards the tax advantages of stock options. We are not aware that many private companies usually grant stock options (ISOs and not NSOs). Well, these ISOs have a lot of tax benefits. Normally, the US government taxes all the securities that vest like the restricted stock units when vested. And it is due to this that the employees might have problems since they would not have the cash to pay any taxes. Moreover, they also would not be able to sell the stock. And if we talk about stock options, they are very different. The person who has a stock option doesn’t have to pay the taxes for it as the option vests. Moreover, if the option is never exercised, the optionee would never would have to pay any tax at all. Further, the NSOs are taxed on the date when they are exercised. In short, the ISOs are better since the person is not obligated to pay any tax on it unless it is sold. Even though there is no regular tax placed on the exercising of an ISO, the gain received on exercising the option would be subjected to the Alternative Minimum Tax (AMT). Hence, it is important to take the help of professionals when having the options exercised. Another great benefit of the ISOs is that the tax obligation of the employees are reduced. To understand the difference between the stock options vs rsu, we have to understand the next point too. Unfortunately, many who have the ISOs do not enjoy the benefit of paying 0% tax on the gains they get. This is because the long-term capital gains rate is applied only when the optionee holds the option for a year at least before selling it. But it is common to see many employees wait for the company to be sold before they exercise their options, which is a same-day sale. This means that the holders exercise their options and even sell them to the buyer of the company, both in just one day. And due to this, the holder is disqualified from getting any long-term capital gains tax benefit. In short, they are taxed at the short-term capital gains rate, which is the same as the standard income tax rate at which the NSOs are taxed at. All-in-all, the tax treatment and upside potential is why the stock options (mostly ISOs) are popular in private companies when we talk about stock options vs rsu. But due to the lack of knowledge amongst the employees, many normally don’t get the best tax treatment which is why it is important to take the help of professionals. Even though the stock options work great for private companies, they are some drawbacks to it. The very first one is that if the stock value of the company falls below the strike price, the options would eventually become worthless altogether. It is understood that employees get the options to increase the value but what if the value is already too high? Or what if the value fluctuates continuously? In such cases, the employees would lose the money they put into the options. And in such cases, the companies usually have to re-issuing the stock options to them costing the company a lot more. Moreover, as soon as the shareholders exercise the options, they would turn into shareholder increasing your shareholder base. This also means that they have the legal rights to exercise the shares they have as soon as they vest. This is bad since being a US company, you can only have 500 non-accredited shareholders before the company can file for going public. And there are many businesses that tend to exceed the threshold before they IPO. Due to this, Facebook has also stopped issuing the stock options and have started issuing only restricted stock units. As a matter of fact, the shareholders also have the rights to vote and get the inside information of the company. You would not want to share all the sensitive details of your business with a disgraceful employee that is leaving. Moreover, your company would also have to get the 409A valuation for being able to grant stocks, which is a costly thing. And it is due to these, many companies usually look out for a better solution. Restricted Stock Units are taken into consideration as they seem to be a much better option. The next part would help us understand what is RSU and why is it such a big deal when talking about stock options vs RSU. Having restricted stock units illustrates the actual ownership of a person in the company. In short, the person who owns restricted stock units would have all the responsibilities, privileges and rights as that of an owner with the same class of shares. This includes the right to vote at annual meetings and the right to dividend distributions when the company issues the dividends. Furthermore, the restricted stock is called “restricted” since the company can put some specific restrictions and vesting rights on it. This can include things like the right of the company to repurchase the specific shares that have not been vested yet in case the employee chooses to leave the company due to any event. With the help if the rsu stock, the company promises the employee that they would pay the employees with cash or shares in the future. And since the restricted stock units are subjected to vesting, the employees would have to wait till they are vested to get the stock or cash. It is a common thing for the rsu stock to vest over a period of time like how the options vest. The rsu stock can also be vested utilizing the milestone triggers such as the sale of the company or to achieve a specific amount of revenue. Another thing is that the rsu stock does not have is a strike price. This means that the value would be the same as long as the common stock has the same value. With this, the employee would be benefited a lot as even if the value of the company does not increase, the restricted stock units would still be valuable. As a matter of fact, the public companies tend to grant just a little restricted stock units because they are more valuable. These type of securities with the downside protection have much more value as compared to the other options. Moreover, when the RSUs are granted, you do not need to get the FMV of the stock. In short, you can save the money you would have spent on getting the 409A valuation done. Even though the companies might need to get the valuation done for things like the ASC 718, there isn’t any requirement as such for granting the rsu stock. Furthermore, the recipients of the RSUs become the shareholder of the company only when they get the stock. A lot of those who get the RSU stock tend to get cash rather than the shares. So, unless they hold the stock with them after getting it, they would not have any shareholder rights. Even though this sounds less valuable for the employees, it does pay them the amount they deserve to get. Also, this plan is great for the companies too. But how do you know which is better between the stock options vs rsu? The grant date is anytime when the shares are issued. The rsu stock does not have a strike price. The vesting of the RSUs are based on performance, time period, or any other milestone that includes the change-of-control. With the RSUs, the employee does not get the shareholder rights until and unless the company gives them the stock and not the cash as soon as the rsu stock is vested. The company does not need the 409A valuation. There is a terms of agreement for the restricted stock units and they are settled according to it. The settlement can also be deferred for obtaining a better tax treatment. But the deferrals that go for more than a few months can trigger adverse 409A consequences. As soon as the rsu stock is vested, the employee gets paid in cash or stocks as per the agreement made with the company. The restricted stock units are taxed when they are vested. Moreover, if the stocks are paid with shares and the employee holds the shares for more than 12 months, the capital gains tax rate would then be applied on the subsequent gains. The shares are granted as soon as they are issued. The strike price is normally the same as the FMV of the stock. The vesting depends on the performance, time or any such milestone that also includes the change-of-control. Those who get the ISOs become a complete shareholder of the company as soon as they exercise their stock options. To grant the ISOs, the company would have to get the 409A valuation done. There isn’t any settlement for the stock options. As soon as the stocks are vested, the ISOs would turn into the common stock when they are exercised by the employee. The employee get shares as soon as they exercise the options. As in the payment is given in shares. In case there is a qualifying disposition, the taxes would be paid when the shares are sold at long-term capital gains rate. In case there is a non-qualifying disposition, the taxes would be paid when the shares are sold at the ordinary income tax rate. With the details shared about stock options vs RSU, you might have understood which one is better for your company. 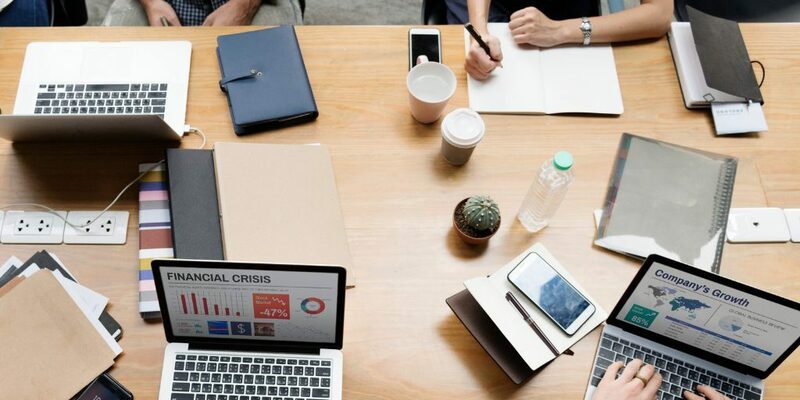 In case your company is in the initial phase where the value is just building, that is when you should consider offering stock options to your best employees. On the other hand, for the companies that has been in the market for a long time should consider offering restricted stock options. There are a lot of things to consider about the both. And this post is not to give you a legal advise on what to choose. It just helps you get a better idea about the differences between stock options vs rsu. Hence, it is better to consult a lawyer before you decide what to offer your employees as equity compensation. Moreover, do not forget to keep track of all the shares that you are offering. 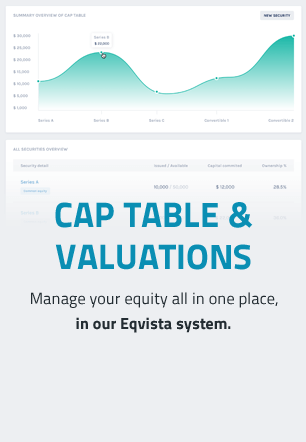 You can use the software – Eqvista for it. Check it out here!